“I asked how I could get involved, what opportunities were available in the College of Engineering and Computer Science,” says Gonzalez. “He loves to help and he goes out of his way to help people, ” says Gonzalez of Montesdeoca. 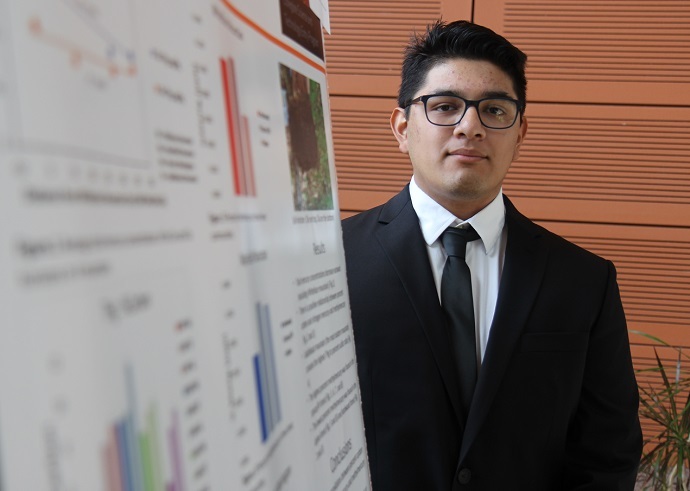 “I thought, what a great opportunity to be mentored by one of the top professor at SU – why not?” says Gonzalez. “Of the four mountains we are trying to figure out what trends there are in each of the mountains and do different elevations and types of forest play a role,” says Gonzalez. “We saw that in all four mountains that the middle elevation forests, the spruce and fir forests, contained the most amount of mercury,” says Gonzalez.